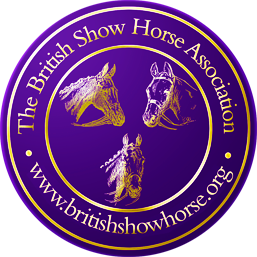 The British Show Horse Association is a Passport Issuing Organisation and can supply Identification Passports. The BSHA ID Passport Service produces passports for horses of unknown pedigree and does not include the breeding details on the passport. If you know the pedigree of your horse you should apply to the Breed Society concerned. Under the current legislation, new owners are required to record their ownership with the relevant Passport Issuing Organisation (PIO) within 30 days of purchase of the horse. It is an offence not to do so. Compulsory microchipping provides a permanent link between the horse and its passport. Microchipping will also help recover and identify stolen and abandoned horses, as well assist with welfare cases. From the 1st July 2009 all foals and any older horses not previously identified must be microchipped when a passport is applied for. All late applications will be signed out of the food chain. Ponies on Dartmoor, Exmoor and the New Forest will not need to be identified unless treated by a vet, as long as they stay within the designated area. Special arrangements are in place for when these ponies are first moved from these areas. If the passport is not available when your vet comes to treat you horse, he/she may not be able to use drugs banned from the food chain, e.g. phenylbutazone (“bute”) and must use as alternative product. If you own or look after a horse you must be able to produce the passport without delay in the event of an inspection. Your passport must accompany the horse at all times, other than when stabled or out hacking. It is an offence to apply for a passport from an authorised Passport Issuing Organisation (PIO) after the equine is 6 months old or after the 31st of December of the year of birth whichever is the later. It is a legal requirement of horse owners to apply for a duplicate passport if the original is lost. When a horse, pony or donkey is purchased always obtain the passport & notify the PIO within 30 days of the animal’s new owner. Failure to do so is an offence. It is required under Data Protection legislation to advise individuals about the processing of personal information i.e. why this information is being collected, how this information will be used and the circumstances in which it will be disclosed. Information supplied in connection with your registration will be passed by Weatherbys (Weatherbys produce the Passports on behalf of the BSHA) to the National Equine Database [NED]. NED is jointly operated by the National Equine Database Society for Government and the GB equine industry. Horse passport-based information about Horse and Owner is being collected by NED in order to provide a source of data that supports veterinary disease control and surveillance activities. The information will also enable Defra to carry out its responsibilities regarding the implementation of the horse passport requirement. It will also facilitate strategic planning within the equine sector, assist in tracing the Owners of straying, lost or stolen horses and reduce malpractice in the sale of horses and ponies. The data collected for this purpose will be adequate, relevant and not excessive for the above purposes. For the equine industry in general, the information passed to NED will provide a central archived source of Breeding, Evaluation and Performance [BEP] data which will enhance the quality of horses bred in Great Britain. BEP data will be accessible by other interested parties [for a fee] via an Internet website. The horse passport based information provided may, in future, be used for research purposes or statistical analysis. Your personal data may be shared, if necessary, within the Defra family, other Central Government Departments, Non-Departmental Public Bodies and Local Authorities. Your personal details [i.e. name and address of horse owner] will be treated as confidential at all times and all data supplied will be kept secure. Data may be processed by a contracted third party that will also be required to keep all data secure. Your personal details will not appear on the commercial BEP website. Any enquiries from users of the BEP website will be directed to the organisation or society that forwarded the information to the National Equine Database. In limited circumstances, NED Society or its agents may be required to release information, including personal data and commercial information, on request under the Environmental Information Regulations, the Code of Practice on Access to Government Information or the Freedom of Information Act 2000. However, neither NED Society nor its agents will permit any unwarranted breach of confidentiality nor will we act in contravention of our obligations under the Data Protection Act 1998. Defra or its appointed agents may use the name, address and other details on your application form to contact you in connection with occasional customer research aimed at improving the services that Defra provides to you. The British Show Horse Association respects the rights of all its Members and is registered under the Data Protection Act 1998. Weatherbys will need to use the information provided by you for its own internal administration and analysis but, will not divulge any individual details to other third parties without your consent.